I was born in the picturesque steel town of Piombino, Tuscany. Lucky to be born into a food and culture loving family, my father from Rome and mother from a small medieval town Castagneto Carducci on the Costa degli Etruschi. The area was to be a constant inspiration through my life. My family immigrated to the shores of Australia in the early 1980’s and from there created a new home in Canberra. 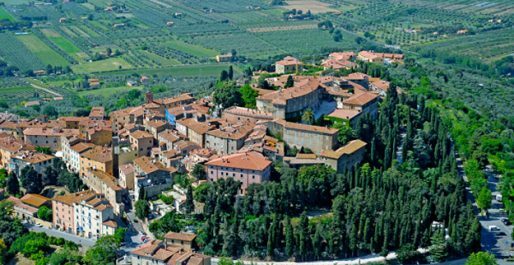 After a long period without going back to Italy, at 13 I had a life-changing trip back to Italy. It was during this trip that I re-embraced my Italian culture for the first time in a decade. The 1990 football world cup was hosted in Italy at this time. I spent my days playing football in the park with my cousins and nights watching and learning how to make many traditional Italian dishes with my Nonna and other family members. We would all chip in and help and also enjoy the fruits of our labour. Over the next 8 years I would return during the school holidays. 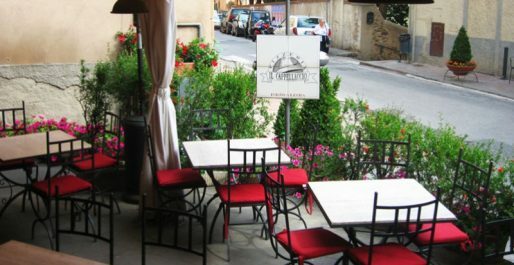 During these trips I was introduced to a Pizzeria in Castagneto called ``Il Cappellaccio``. It had become very well known in the area for their amazing pizzas. 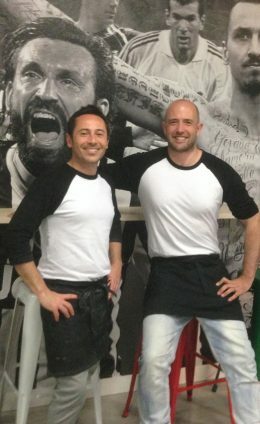 This was the beginning of the love affair that would culminate after many years of learning, practice and dedication to craft, in the establishment of Pizza Artigiana with my long time friend Andrew Brown. 3 years later and here we are always trying to improve. 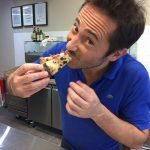 Making sure that we strive for the perfect Pizza every time, and give our loyal customers an authentic and enjoyable Italian experience. As out of towners we weren't sure of any good pizza places so we took a chance a drove away from the city to come across this sensational place. These pizza's are really something and well worth it. Great friendly customer service, clean and very modern to dine in. We will definitely be back on our next visit. Best pizza! Light wood fired crust which doesn't leave you feeling bloated - superior toppings and tantalising flavours - my tastebuds were delighted. If ur after a ham and pineapple or meat lovers pizza, this is NOT the place for you to go. However, if you want to be dazzled by pizza perfection, do yourself a favour and get on down to my new favourite local eatery! Oh, and don't forget the gelato - highly recommend the pistachio and tirimisu! I'm already busting to go back there!! Totally amazing food.. Best pizza I have ever had. Everything is fresh and highest quality ingredients..
Definitely our new favorite pizza place. Awesome pizza, best in Canberra. Think the dough is incredible. A business opportunity for sure to sell the dough. I'd be the first customer! !